The SPS-1000, SPS-2000, and SPS-2200 systems are MicroXact’s premier manual probe stations designed to be flexible and easy to use. The high level of performance and affordability of these manual probe systems put them in a class of their own. With up to 200mm wafer capabilities, DC or RF probes and optional thermal chuck, and a variety of shielding options, our probe stations can be used for the wide range of applications, such as failure analysis, reliability testing, IV/CV testing, low current testing and microwave and RF characterization to name a few. 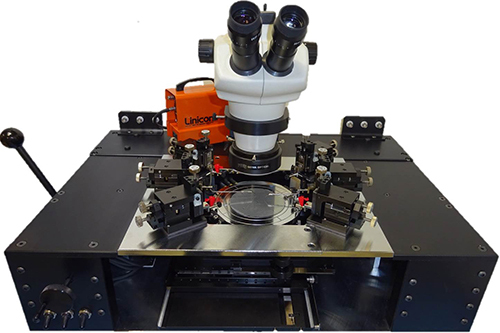 IV, CV and low current testing with MicroXact’s manual probe stations provide the precise and accurate measurements needed for characterization of semiconductor devices. 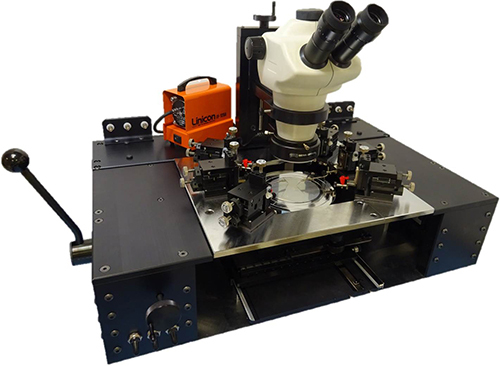 Wafer-level capacitance and low current testing on dies has never been easier due to the variety of options available and the flexibility of MicroXact’s manual probe stations. Manual stage assembly is available with additional preload slide for easy loading and unloading of wafers or samples. Manual control of platen and chuck Z-position with coarse and fine adjustments. 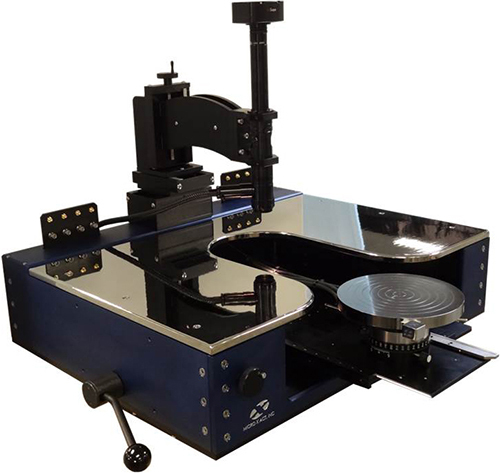 Smooth cast steel platen holds up to 10 magnetic or vacuum-based positioners. Coaxial and triaxial chucks as well as enclosures are available for low leakage current testing. RF options available include customizable RF probes, RF chuck, and shielding enclosures. Gold-plated, improved flatness adjustable vacuum chucks.